1 off) Tool-store with double doors. Size: 6' x 2'6" deep. £245.00. 1 off) Workshop 10' x 8' Apex with double doors. Discounted Price. £950.00. 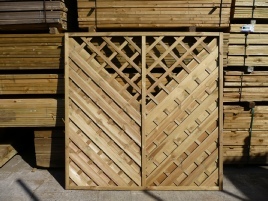 12 off) 1.8m x 1.8m Decorative Panels (Wharfedale) £45.00 each. 11 off) 12" Concrete Gravel Boards (Slightly Damaged) £7.00 each. 1 off) 6" Concrete Gravel Boards (Slightly Damaged) £5.00 each. 11 off) 6' Slotted Concrete Posts (Slightly Damaged) £9.00 each. 3 off) 7' Slotted Concrete Posts (Slightly Damaged) £9.00 each. 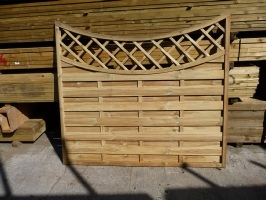 10 off) 8' Slotted Concrete Posts (Slightly Damaged) £9.00 each. 3 off) 9' Slotted Concrete Posts (Slightly Damaged) £10.00 each. 1 off) Garden Seat Single(Discoloured) £100.00 each.